All over Europe there are many traditions which mix Christian and pre-Christian aspects and the use of masks is an example of that. From December to February/March (usually until Carnival) there are, still today, celebrations that imply the use of specific masks and costumes, celebrations which are a mix of playing pranks, rites of passage, saying goodbye to Winter, welcoming Spring and just plain fun. There's flutes, accordions, bells, dancing and jumping around. It's almost as if each person wearing a mask happened to be a kind of shaman, so you actually have dozens of people, in each community, taking part in a ritual with very specific purposes. Where did the masks come from? The origins of these masks and traditions are not very clear, although it is obvious they are rooted in Paganism. Like with so many other Pagan traditions the Christian Church could not simply erase them - so they adapted them. 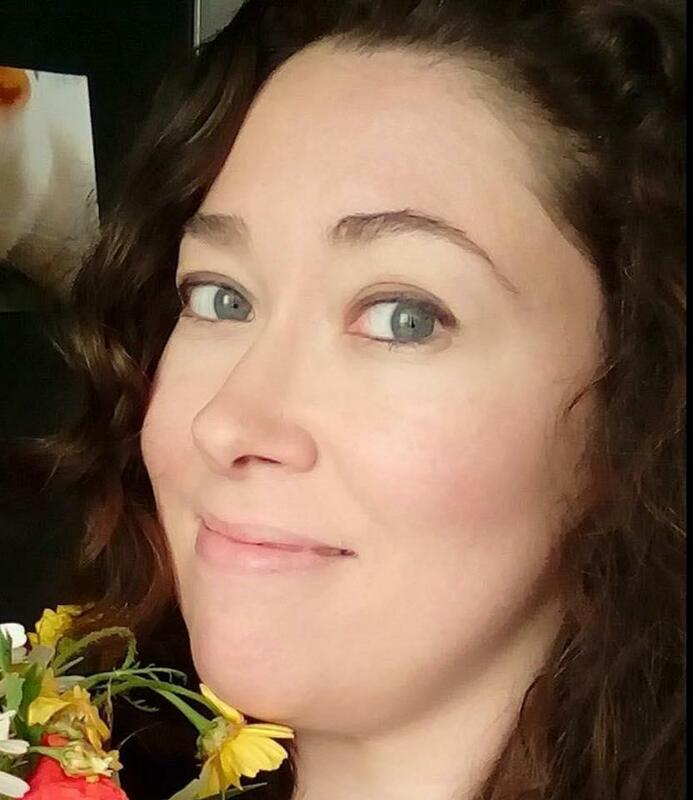 Where are the masks found? 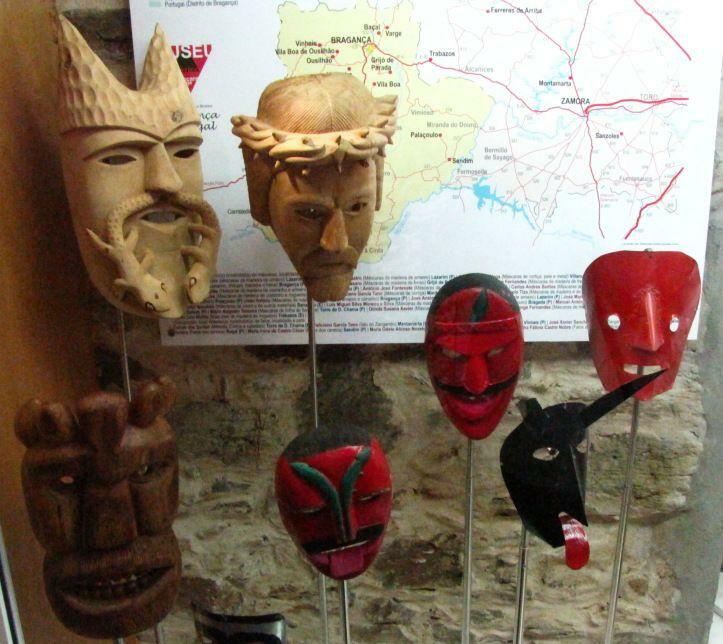 In Portugal you'll find these masks mostly in the northeastern part of the country, but they're actually used as far south as in the Aveiro area. The most famous of these celebrations is probably the one that takes place in Podence, during Carnival, with the “caretos” being the main actors in their red, yellow and green costumes. If you’re curious about these masks and if you’re ever in Bragança I highly recommend visiting the Museu Ibérico da Máscara e do Traje, where these photos were taken. They also have a display of masks, mostly carved out of wood (the first photo on this post is of a replica made out of clay). 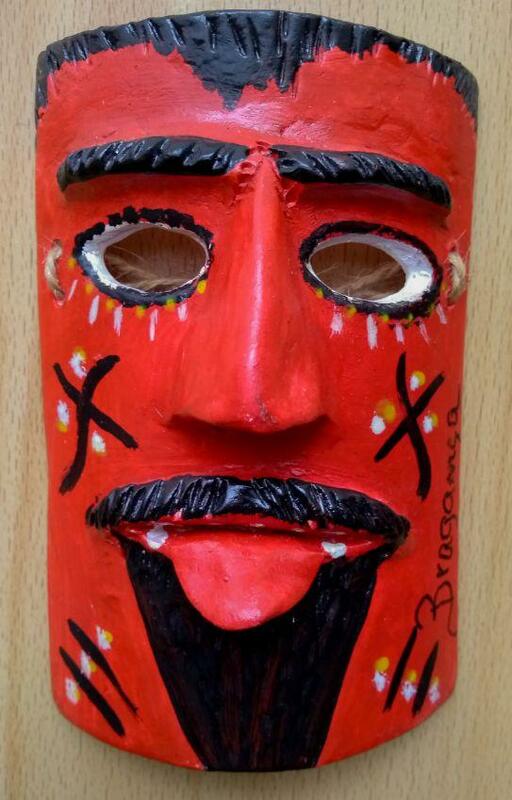 If you're in or near the Lisbon area you can also attend the Festival Internacional da Máscara Ibérica, which includes masks and costumes from other countries. This year's edition will take place from the 17th to the 19th of May. Have fun!